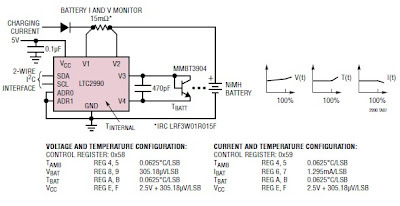 Using LTC2990 integrated circuit you can design a very simple monitoring system to monitor system temperatures, voltages and currents. 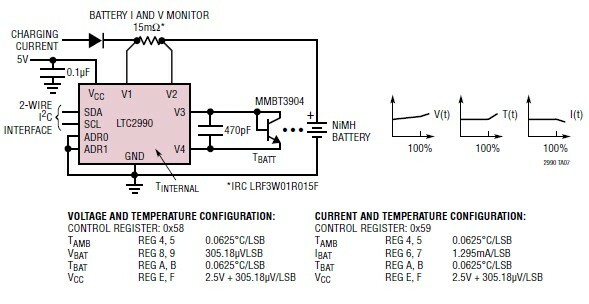 Through the I2C serial interface, the device can be configured to measure many combinations of internal temperature, remote temperature, remote voltage, remote current and internal VCC. The internal 10ppm/°C reference minimizes the number of supporting components and area required. 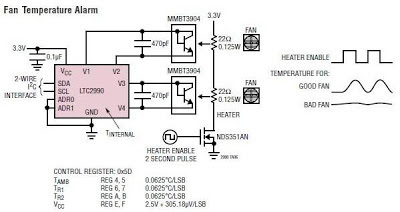 Selectable address and configurable functionality give the LTC2990 flexibility to be incorporated in various systems needing temperature, voltage or current data. 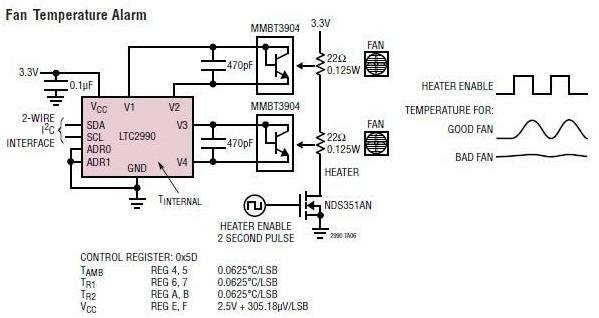 Bellow you can see some ideas how to use the LTC2990 I2C Temperature, Voltage and Current Monitor Ic in your electronic projects . You can use LTC2900 IC for electronic projects like :motor protection , fan temperature alarm , battery monitoring , liquid level sensing and many other projects .